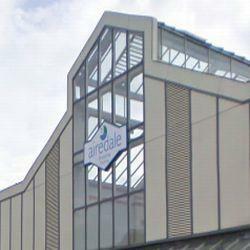 Airedale Shopping Centre01535 664198work Shopping CentreThe Airedale Shopping Centre provides a thoroughly modern shopping experience with many of the country's top high street brands lining its light and airy undercover 'streets'. The centre also has a 460-space multi-storey car park and cafe. The Airedale Shopping Centre provides a thoroughly modern shopping experience with many of the country's top high street brands lining its light and airy undercover 'streets'. The centre also has a 460-space multi-storey car park and cafe. Individual store opening and closing may vary or be extended. Please contact individual store for details.